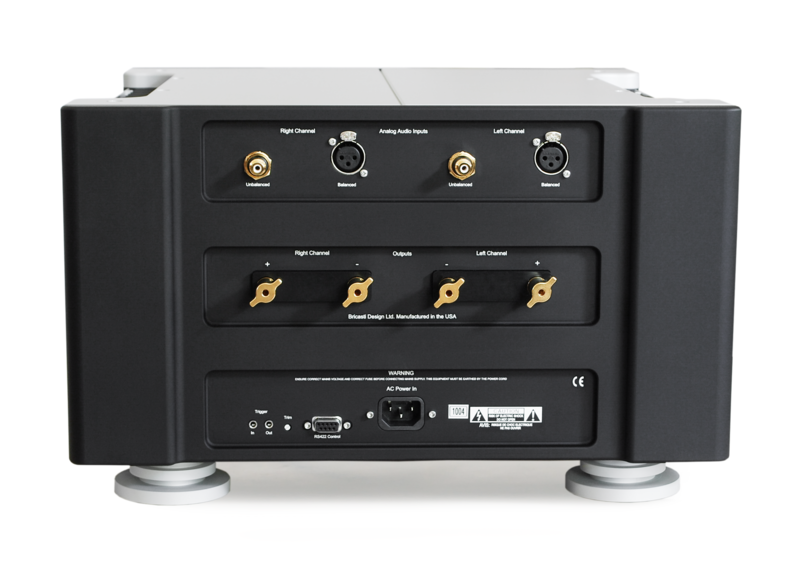 The M25 is a high-end Hi-Fi power amplifier built around a dual mono transformer design and sits between its smaller M15 and larger M28 siblings in terms of power. Capable of 150 W / 300 W / 600 W per channel into 8ohms, 4ohms and 2ohm loads respectively, the M25 seeks to cater for an audience demanding a powerful punch within a conservative footprint. The M25’s dual transformers allow for a beautiful sense of depth and dimension, offering impressive imaging and detail along the way. 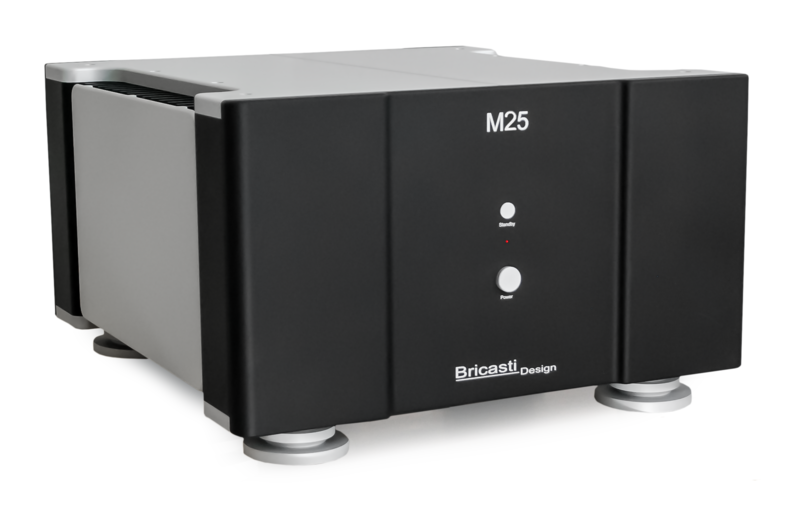 As with the other amplifier models in Bricasti’s range, a fully differential balanced design has been employed to ensure low distortion while maintaining an accurate harmonic - and overall musical - listening experience. 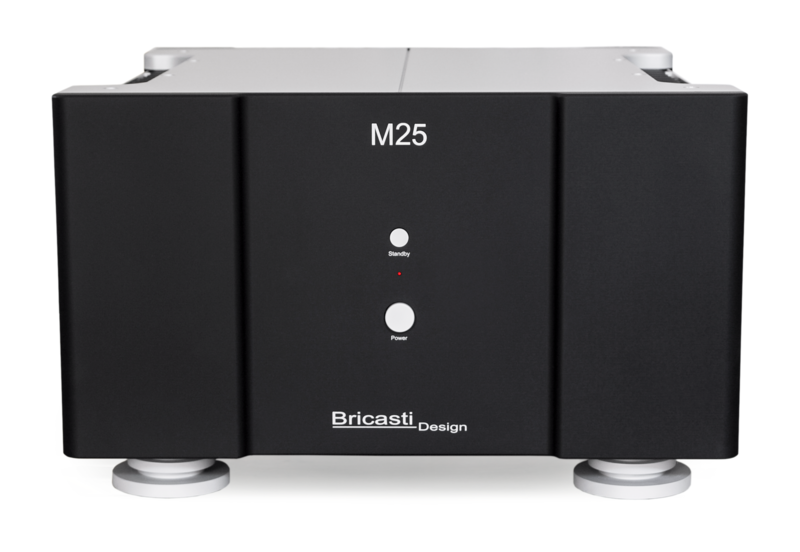 To allow ease of partnership with 3rd party Hi-Fi components, Bricasti have integrated a unique trim control to properly gain stage the M25 and match it precisely to any chosen digital source. < 0.005% 20hz-20kHz at full rated power into 8 and 4 ohms. 150W into 8 ohms, 300W into 4 ohms, 600W into 2 ohms.